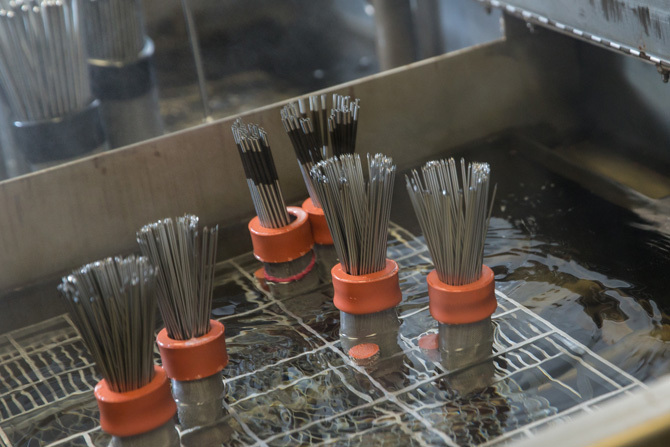 Within this area our capabilities extend to Electro-Polishing, Electro-Etching, Tumbling, Automatic Passivation, Oven and Spin Drying. Many of these processes also take advantage of custom designed technology that was specifically built around our internal equipment design and development capabilities. These systems also benefit from using the latest motion control components and HMI instrumentation that uses the most advanced algorithms to provide for more robust, consistent, and repeatable processes.